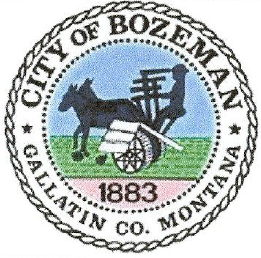 Bozeman offers a dynamic Senior Citizen Center that has expanded its programs and activities over the course of several generations. The executive director, Shannon Bondy, is part of our team as well as Peggy Tombre, the Area IV Agency on Aging representative in town. The HRDC (Human Resource Development Council) provides bus transportation through the Galavan program for seniors and all citizens through Streamline bus service. The Bozeman Parks and Recreation Department offers active aging programs as well as water aerobics and two older adult sports: pickelball and badminton. The local newspaper publishes a monthly insert called “Prime,” which lists news and items of interest to seniors in Bozeman. The Gallatin Valley Land Trust has partnered with the hospital in the Trails Rx program to get people outdoors and moving, which promotes wellness. Aging Baby Boomers wish to remain engaged in their communities and pursue their purpose in life. We feel there are opportunities for the city to partner with local non-profits and private businesses to enhance the services available to older adults to allow them to achieve their goals. This application seeks to unite the many programs currently available into a more coordinated and easier to access format. With Bozeman’s booming building trade, we have the opportunity to educate local builders on affordable housing options specific to older adults to make affordable and appropriate housing readily available as well as consider zoning changes to make this possible. Our ultimate goal is to provide persons of ail physical, economic, and cognitive abilities a way to be represented so we can all live a life based on respect and dignity while Bozeman’s future continues to provide “the last best place” for people of all ages.